As part of the SUPER AWESOME TWENTY YEAR POKÉMON AAAH! 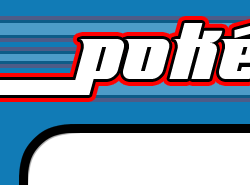 ANNIVERSARY CELEBRATIONS happening this year as part of Pokémon Aaah!’s 20th Anniversary celebrations which I’m celebrating this year, I’d thought I’d go back to the very beginning and take a look at my very first fake card set, the aptly name Fake Edition. 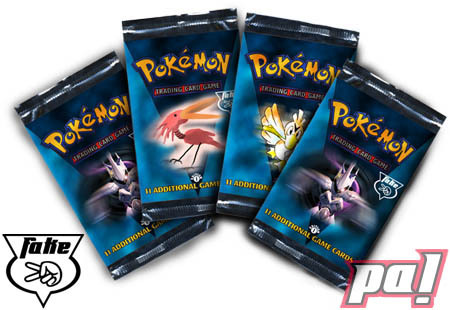 Now if you don’t remember, Fake Edition is quite literally the very first Pokémon TCG fake card set, EVER. I made 200 cards over the course of a year (June 1999 to June 2000), and it ran the gamut between plain ol’ cards to tournament-worthy Trainer cards, to cards based on the Pokémon anime/cartoon series. To be honest I sorta made it up as I went along, but frankly that’s not much different than what Media Factory did with the sets back in the day. That said, a lot of these cards were made for the game as it existed in 1999-2000. Nearly 20 years later and not only is the game still going strong, but there has also been a bit of a power creep… probably to render the cards which ruled the roost back in the day useless (lol imagine trying to run a classic Haymaker against some modern deck!). Now I actually still sorta pay attention to the game… kinda… it’s on-and-off… but I at least buy new packs now and again and play the Pokémon TCG Online game every now and again. So I’m at least fairly familiar with the current power level of modern cards. So with that knowledge, I’m gonna go back and take a look at my old cards from Fake Edition, see if they’re still viable today, maybe give them a little update to keep them playable for today’s formats (albeit on text, I don’t have the time to remake them), and maybe even share some of my thoughts and memories about the cards. I’ll try to make this a fairly regular update deal, as well as cover the cards in the same chunks I originally post them in, and at least make a page in the sidebar (under Pages & Junk section) in case you missed some older ones. Sound good? Anyways, let’s get crackin’! PS: Wow! I sure am posting a lot this year! At this rate I should end up writing, what, 100 posts this year? All text and images are © 1999-2019 Philippe Van Lieu and Pokémon Aaah!, or of their respective owners. This site is not affiliated, endorsed, or approved by Nintendo, The Pokémon Company, Wizards of the Coasts or Hasbro.